Now that Linux is sort of up and running on the iPhone, what's next? 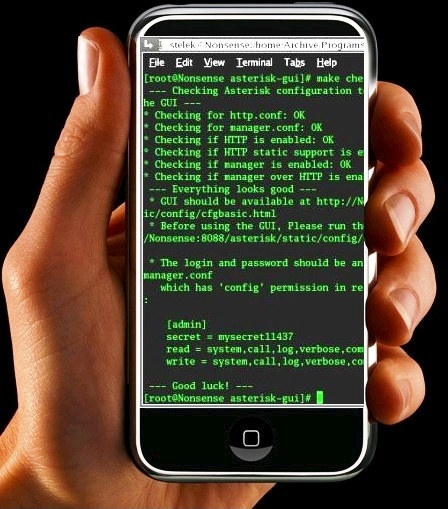 Will we see Asterisk, MySQL and other open-source programs running in your pocket soon? This is very interesting but remember that Apple devices are ultra-successful because of the user interface. It is unclear why we would want an iPhone or iPod touch which runs Linux -- other than for a variety of niche applications where useful software has already been written. I know what you are thinking... Rich, the reason we want to run Linux on an iPhone is because Apple has such restrictions on the programs which are allowed to be part off the AppStore, we need choice. Well, I would agree but I don't believe a new OS is the answer to this dilemma. Now if Linux on the iPod Touch and iPhone was the same user experience as the Apple-based OS, then maybe there would be a chance this project could go mainstream. But patents and things like that may get in the way of such lofty ambitions. So Linux on the iPhone is a great idea but I don't expect it to take off.